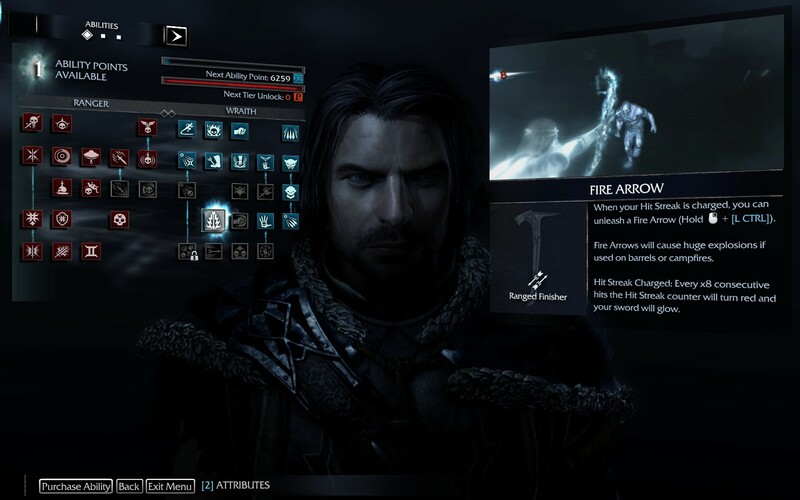 The Refined Geek » Middle Earth: Shadow of Mordor: I Will Have My Vengeance. 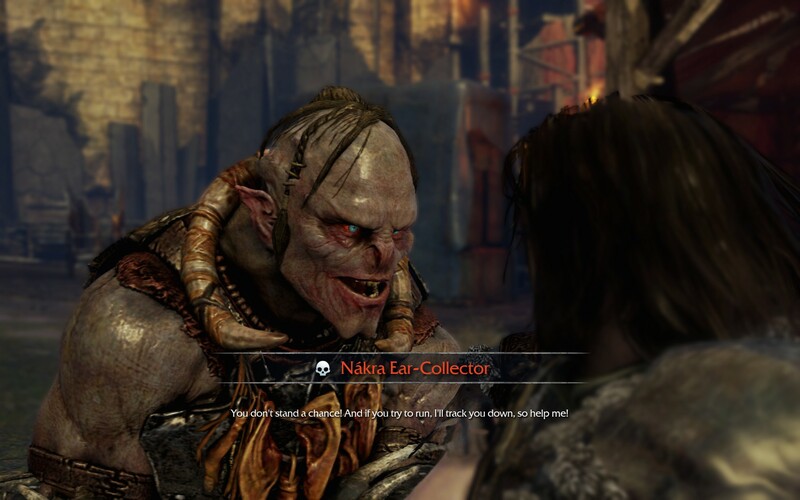 Middle Earth: Shadow of Mordor: I Will Have My Vengeance. We seem to be going through a revolutionary period in gaming where IP from other mediums is suddenly finding its feet, becoming on par with (and even surpassing) experiences that were born within the gaming genre. Many will agree that this started 5 years ago when Rocksteady Studios released their seminal title: Batman Arkham Asylum. Since then many other titles have followed in its wake, staying true to the original IP whilst creating an experience that you simply could not get in any other medium. 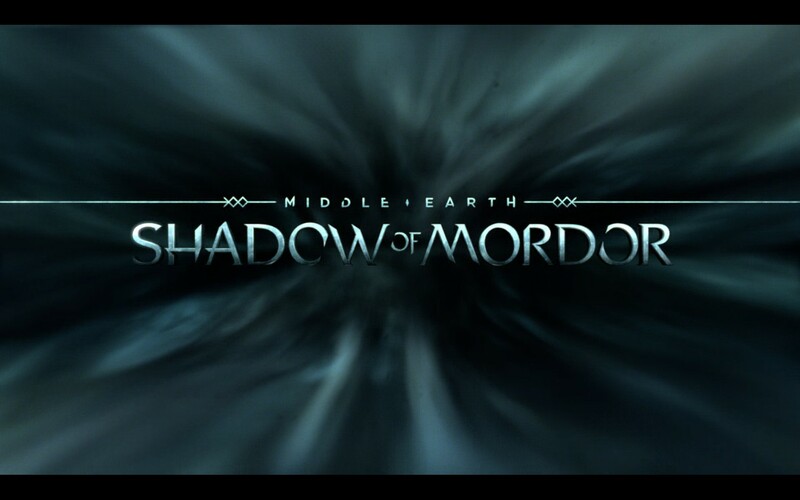 The latest addition to this style of games is Middle Earth: Shadow of Mordor, set between J.R.R Tolkien’s novels The Hobbit and The Lord of the Rings, which takes the source material and turns it into an experience that is among the best I’ve played this year. You are Tailon, ranger captain stationed at the Black Gate in Mordor, sworn to keep watch over Mt Doom and all the horrors that dwell within it. The dark lord that dwelled within those lands had not been idle however, growing his vast army of grotesque orcs and uruk quietly, leaving the world of man to think they were safe once more. One fateful day he unleashed them upon the Black Gate, killing everyone within it. But your life wasn’t to be taken, instead you were bound to an unknown wraith spirit in a horrific blood sacrifice, unable to die and bound to the mortal plane. Now, with your new found wraith powers, you look for vengeance and the means with which to end this existence so you can be with your family once again. Shadow of Mordor is quite the pretty game with scenes ranging from sprawling vistas to cramped caves and busy garrisons. The graphics still have that last-gen feel to them, mostly attributable to the choice of colour palette, however they’re certainly not bad on the eye. It’s also probably due to the choice of engine as well as Shadow of Mordor uses the LithTech Engine which hasn’t seen a game on it in the past 2 years. Still it manages a good level of graphical fidelity given its open world nature which manages to run smoothly even on my now aging rig. I’ll admit that I might be giving it a bit of an easy pass in this regard since I’m coming fresh off the horror that was Dead Rising 3 as by comparison Shadow of Mordor is liquid smooth. In terms of game play Shadow of Mordor feels like it’s a cross between several different titles, taking aspects from each whilst integrating a new mechanic that binds and elevates the whole experience. At its core Shadow of Mordor is an open world game,. giving you dozens of missions to do any of which will help progress your character, the story or will help you get all those collectibles which so many people seem to lust after. The combat takes after the Arkham series of games in the classic beat ’em up fashion. Then there’s the RPG elements in the character levels and talents alongside the gear upgrade path which takes the form of runes and a kind of currency that you’ll need to spend to unlock more slots. However the best part of the game is the Nemesis system, whereby members of enemy faction grow stronger, fight with each other for power and provide you with challenges to avenge your friends who’ve been cut down by them. Shadow of Mordor really does pack a lot of game into it’s (non-Australian taxed) asking price and I’m sure there’s double the amount of game play in it for dedicated fans. Whilst the game wasn’t developed by either Rocksteady or Warner Brothers Studios the combat feels like they lifted the entire system right out of one of their Arkham series titles. As anyone who’s played those games can attest combat systems such as those are incredibly enjoyable to play, offering the right balance of challenge and reward, at least at the start anyway. You’ll start out struggling to deal with large crowds of orcs but you’ll soon morph yourself into an unstoppable killing machine, nigh on impervious to any attack the game might throw at you. It can get a little repetitive though as the ultimate abilities are simply unlimited versions of regular abilities but most of the time you’ll still feel like the ultimate badass when you come out on top of the two dozen orcs you happened across. The upgrade system is well thought out in most respects, giving you the feeling of progression often enough that you won’t find yourself feeling like you’ve gone hours without the game rewarding you. There’s 2 stages of progression for your character namely your ability points and power level. The ability points are gained in the regular way, getting XP via missions and killing things, however power is only gained when you resolve power struggles, kill captains/warchiefs or do any of the other assorted red missions. It really doesn’t take long to unlock all tiers of abilities, enough so that I had access to the final tier about halfway through the game. If you’d prefer to keep the challenge up then all you need do is avoid the red missions however if you want to become ridiculously overpowered you’re no more than an hour or two away from doing so. The loot and gear upgrades feels a little less polished as you’ll get runes from defeating captains but what you get is a little random. You can ensure a drop of a certain type by exploiting weaknesses and fears but unless you’ve deliberately died to a captain several times over you’re not likely to get a good drop from them. You can break down the runes into the currency to fuel the other upgrades however I feel like it would’ve been better to have a rudimentary crafting system in there to upgrade them. I usually had several runes of a type that I really liked but they weren’t powerful enough to use on their own. If I could combine say, three into one, to get an upgrade I feel like that would’ve been a lot better than praying to RNGesus every time I killed a captain or warchief. I couldn’t publish this review without mention just how awesome the nemesis system is as it provides this kind of player driven narrative on top of the core story of Shadow of Mordor that’s just incredible. Essentially the uruks fight each other in order to gain power and you fight them to gain power as well. Should you die to one they’ll grow in power and, potentially, move up the ranks and get followers. If you’re so inclined you can even influence them to move up ranks, get them to usurp their own captains or turn on each other. Couple that with the wide variety of responses that the uruks have upon seeing you (knowing you’re using someone to betray them, how many times they’ve killed you and so on) and even facing the same enemy again doesn’t lose its lustre. It’s an incredibly deep system and one that’s sure to provide enjoyment to both story players like myself and those that just revel in open world games. Whilst the story probably isn’t the strongest part of Shadow of Mordor it is most definitely above the average dreck that I’ve been making my way through this year. The main premise probably needed a bit more development in order to make that initial emotional moment a bit more impactful, and thus make me empathise with the main character a little more, but it didn’t take me long to get into it. Since this is drawing on the wider Tolkien IP it does manage to get away with not explaining a lot of things that would otherwise need some rigorous explaining which does aid the story quite a bit. I’ll also have to admit that the ending was so-so, missing that final climclimactictle that I was so looking forward to with my incredibly overpowered character at the ready. So overall I think it’s ok, although on the proviso that you’re already familiar with The Lord of The Rings IP. Middle Earth: Shadow of Mordor is a game where the sum of its parts is much greater than its whole. The combat is fast paced and satisfying, the progression well paced and the overall look and feel just feels a level above other similar games of recent memory. The nemesis system is really what pulls the whole game together, adding another layer on top of the game that really ramps up how engaged you’ll be with Shadow of Mordor. It’s not a perfect experience by any stretch of the imagine, with the middling story being the biggest mark against it, but the whole package helps to patch over the various minor faults. 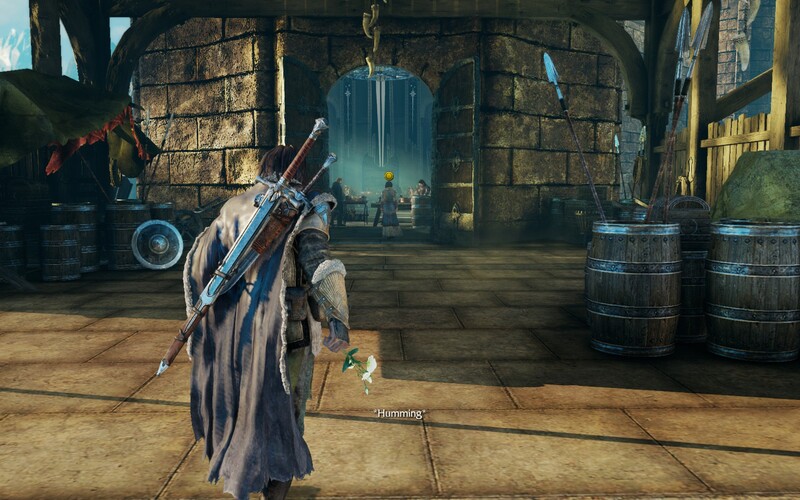 In all honesty I think most gamers will find something to like in Middle Earth: Shadow of Mordor as its wide variety of mechanics and styles ensures that it caters to an incredibly wide audience. Middle Earth: Shadow of Mordor is available on PC, PlayStation3, PlayStation4, Xbox360 and XboxOne right now for $39.95, $99.95, $89.95, $89.95 and $99.95 respectively. Game was played on PC with 13 hours of total playtime with 61% of the achievements unlocked. Pingback: The Refined Geek » Middle Earth: Shadow of War: What Are You Willing to Sacrifice?